Recent incidents at a few autumn events have many festival-goers upset, and it's not because they ran out of hot apple cider. On Oct. 11, a nighttime hayride in Maine injured 22 people and killed one when the driver lost control of the vehicle, struck a tree, and flipped over. At a fall festival in New Hampshire on the same day, a gust of wind swept an unsafe bounce house into the air, injuring the two toddlers inside. The following day, two shuttle busses at a fall festival in New Jersey collided, injuring several people and killing one. These horrific accidents turned the tables on the fun in the blink of an eye. Check out the following festival safety tips so you and your loved ones can enjoy your local fall or Halloween festival safely. 1. Drive slowly, watch for pedestrians, and follow the traffic pattern. 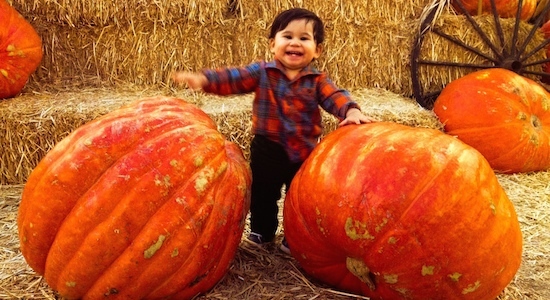 Fall festivals draw thousands of excited people, especially families with young children. Small children were some of the most seriously injured in the shuttle bus collision at the festival in New Jersey, making traffic safety even more important at these kinds of events. As a pedestrian, always follow a marked route to get from the parking lot to the festival attractions. If there isn't a specific path, never run between cars or walk through lines of traffic. As a driver, always pay attention to the road and the people around your vehicle. It can be easy for drivers to become distracted when waiting in parking lot traffic, but this area truly requires the most attention. 2. Be aware of restricted areas and caution signs. The incident in New Hampshire involved a bounce house that was in a restricted area of the festival and not in use. Because it was not set up for use, the house was not properly tied down with tethers and spikes. Make sure children can recognize warning signs and know to stay away from the area. Also, keep an eye on suspicious-looking areas that are not marked or blocked off. All attractions, including bounce houses, should be supervised by an adult when in use. 3. If the hayride truck or wagon doesn't look safe on the outside, don't get in it. Hayrides are staples of fall festivals, but can easily lead to accidents if not properly maintained or managed. How long have you been operating hayrides? How often do you or your insurance company inspect these rides? Does the route involve any extremely steep grades or maneuvering around other hazards? Do you or your employees let guests know to remain seated once the wagon is moving? Pumpkin patches, nighttime hayrides and haunted houses can make this season a lot of fun, but make sure accidents aren't on that list. Don't hesitate to call us if you've been injured in an autumn festival accident. We're available around the clock. “Teen girl killed, 22 injured in Maine hayride accident.” Boston Herald. Oct. 12, 2014. “2 Toddlers Injured in Bouncy House Accident.” ABC News. Oct. 12, 2014. “Harvest festival accident at popular New Jersey farm kills one.” CBS News. Oct. 13, 2014.